Jean Farqhuarson (on the left) on her way to a wedding. "The picture of Jean Farquharson and my grandmother I think was taken outside my Grandmothers farm at Torrancroy. Jean was obviously taking her to a wedding but I do not know what wedding and I am not sure of the date. 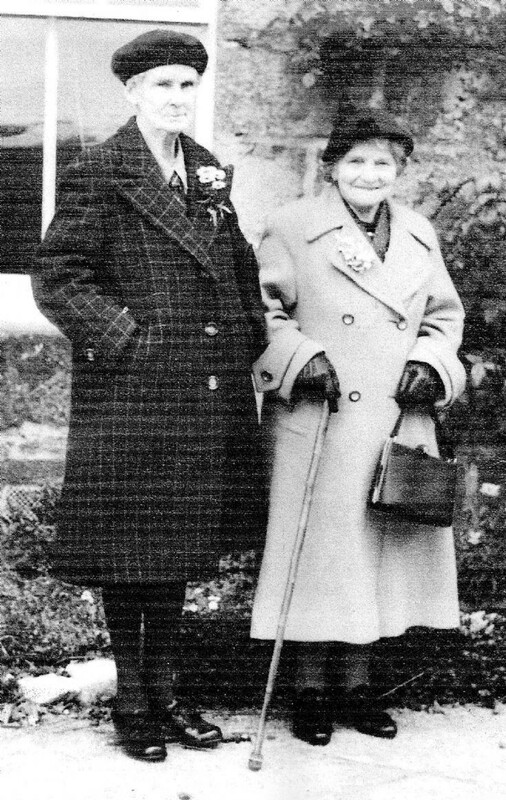 Elizabeth Ann Leys Stewart and her first husband was my Grandfather William Reid McGregor. She married a second time to John Don who was farmer in Torrancroy and she lived the rest of her days there. I have many happy memories of summer holidays from school spent at Torrancroy."